The eyes are one of the most used, yet underappreciated parts of the body. Our eyes allow us to engage in simple activities such as watching television or simply taking in a nice view, and also provide us essential information to be able to do things such as drive cars, cook meals, and participate in work-related tasks. I remember doing an experiment in high school when learning the importance of vision. In this experiment we were each blindfolded and asked to make a peanut butter and jelly sandwich. Don’t get me wrong we were given all the right supplies to do so such as bread, peanut butter, jelly, a plate and a plastic knife but getting it all together to even resemble a sandwich while blindfolded was absolutely horrendous. From that day forward I really gained a new appreciation for eyesight. However, the topic of eyesight is not all fun and games, especially when it comes to eye protection. The eyes are extremely sensitive and do not respond well to burns, lacerations, or other eye injuries. In fact, many times when an eye is injured it will never fully heal to what it once was and may even lose its ability to see causing blindness. In fact, the U.S. Department of Health and Human Services states that over 2,000 eye injuries occur each day with over a 1,000 of them occurring within American workplaces! This is simply unacceptable. Why are so many eye injuries occurring? Is it due to a lack of employees using ANY eye protection? Or is it due to not using the PROPER eye protection for the specific task? Or is it simply a little bit of both? Whatever the reasons are causing eye injuries, nearly 90% of them are preventable when the proper type of eye or face protection is used. 1. Vision Screening – Yes, accidents can happen because of poor vision. Employees should have their eyes routinely screened to make sure their vision is up to snuff. 2. Eye Protection Required – Make sure certain areas within the workplace are clearly marked using proper signage to require that employees wear adequate eye protection. Even though employees who work in a particular area may know and understand that eye protection is required in the area, an employee from a different area may not know this and unknowingly become injured. 3. Use the RIGHT Eye Protection for the RIGHT Job – For instance, don’t wear a pair of thin-rimmed small safety glasses to engage in the task of welding. This would not only look foolish but would also be a major safety hazard. It is important to remember that not all safety eyewear is created equal, different eye protection is needed for different jobs. 4. Set a Good Example – All managers, supervisors, office staff, and basically anyone else who enters a work area requiring eye protection should be required to wear eye protection as well. If an employee routinely sees his or her manager not using eye protection, the employee will then deem it unnecessary and not wear it as well. This is a recipe for disaster. 5. Be Prepared – Eye injuries can happen at almost any time and may happen even when proper eye protection is utilized. If an eye injury does occur, be prepared to take action quickly as the eyes usually respond better to immediate action when injured. Eye wash stations should be easily identified and first-aid procedures should be conducted. 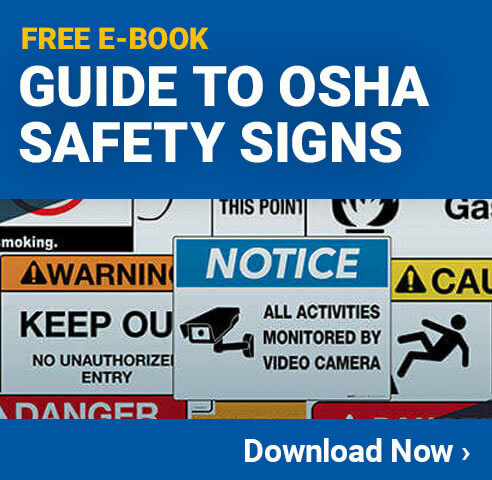 Just like most other work-related injuries, eye injuries are almost always preventable. The first step is protection. If you are like me and many others you have probably gotten something stuck in your eye once or twice such as a bug, or dust or whatever else, this can be painful. Now imagine having acid splashed in your eye or a flying fragment of metal hit your eye… OUCH!!! Protect those eyes; they are the only ones you have. Judgment Call: Is Safety Too Discretionary?